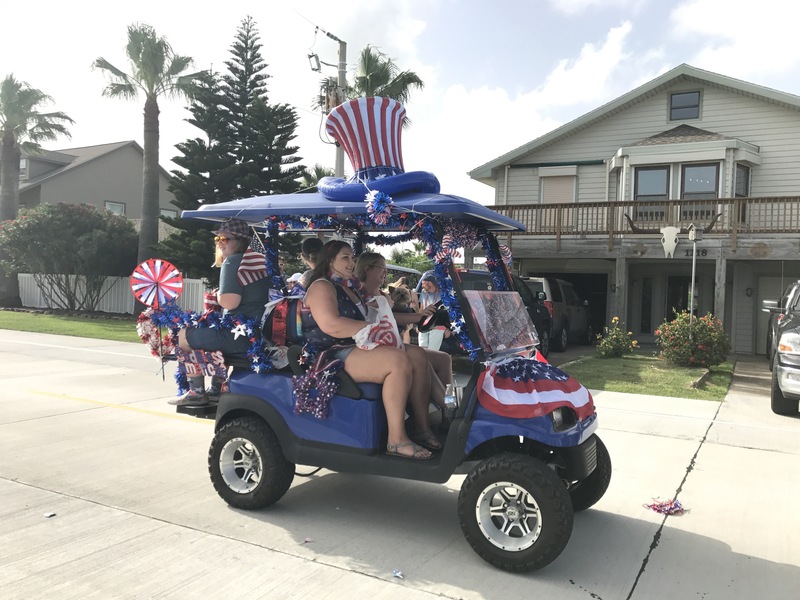 If you find yourself near Galveston, Texas for the holiday, below are my reccomendations for what to do on and around the Island. This is my family’s favorite Saturday activity. We’ll bring along our jet skis, buckets of snacks, and put up a volleyball net to satiate our need for competition. 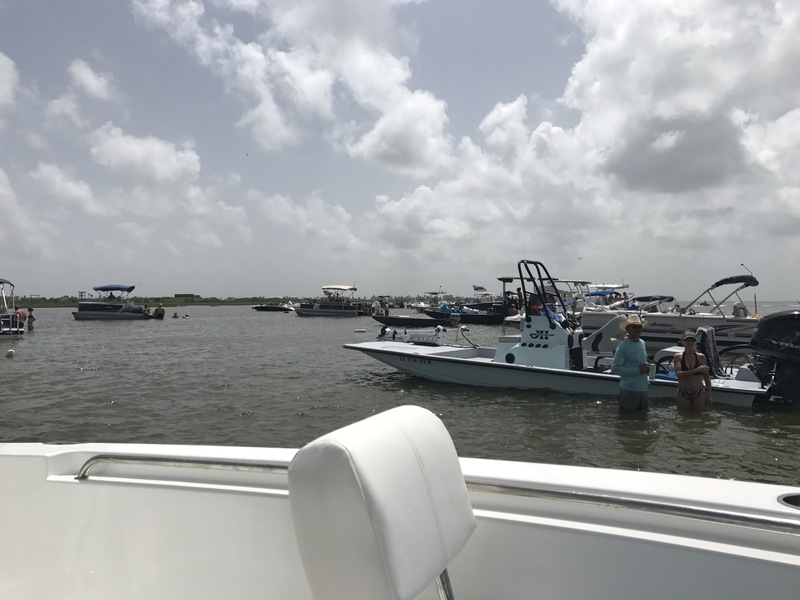 The sand bar is just across the bay from Moody Gardens, and has a great view of planes and helicopters landing at the airfield beside the resort. 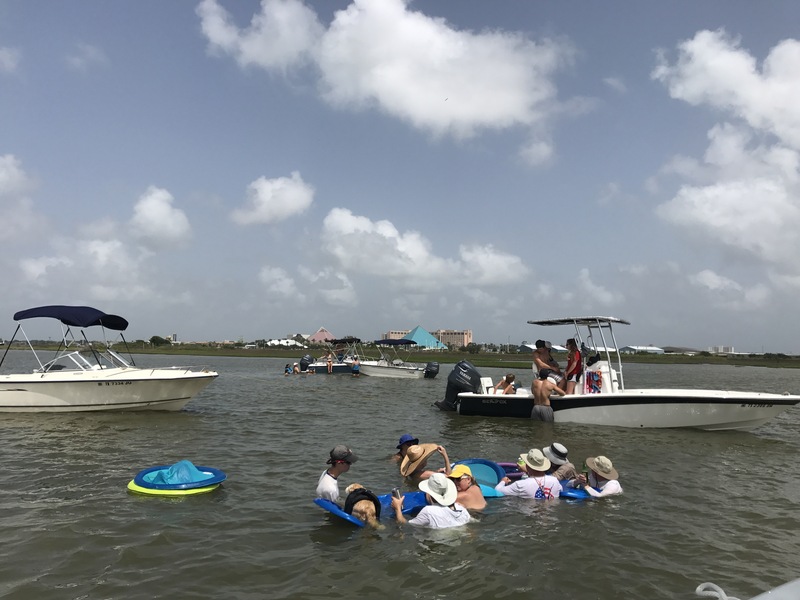 While the color and opacity of the water leaves much to be desired– it looks more like stew than an ocean– lounging on tiny floats in the middle of the sea is an ideal way to spend the day. This is my favorite restaraunt in Galveston. It’s notched in a little hole along the Strand and serves up some of the best German food, along with dangerously good drinks. We go here every time I visit my parents, and use this as our home base during Mardi Gras. If you go, make sure to get the pretzel and beer cheese appetizer. There’s nothing better than a hometown parade where people on golf carts pelt you with candy and rubber duckies. 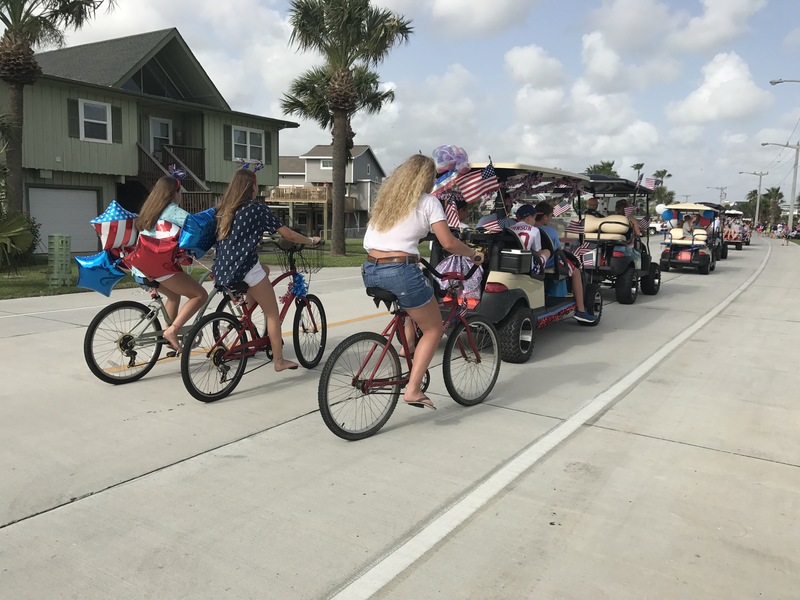 If you can catch this Saturday-Evening parade you can come away with Halloween-level stashes of red, white, and blue candy and flags. 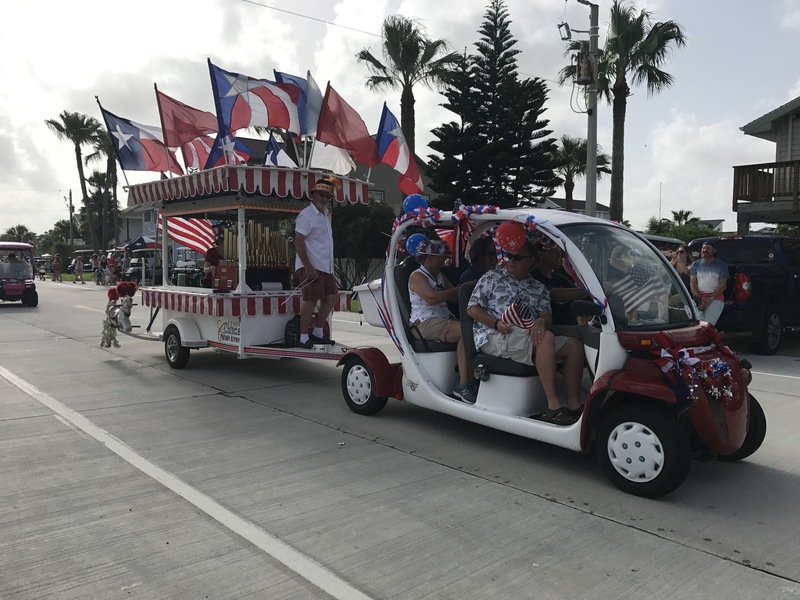 But, beware if you try to leave the Island immediately after the parade you will get stuck in slow moving traffic. 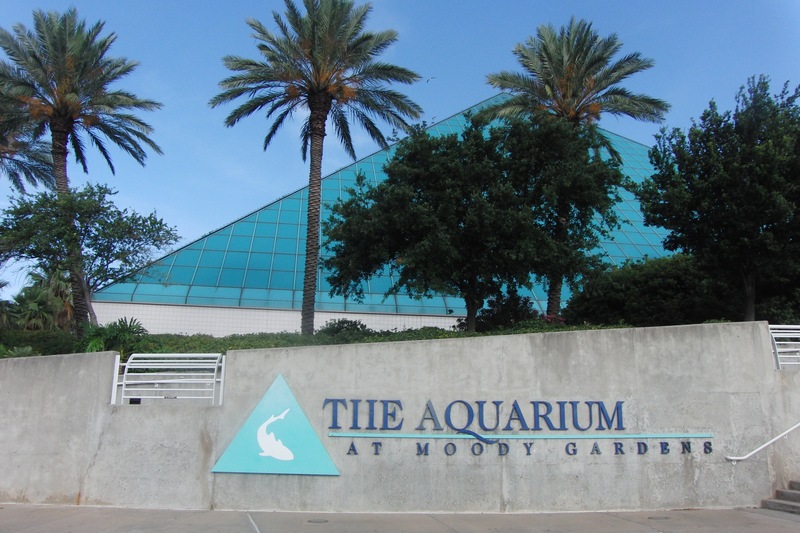 A family favorite for years, the Moody Gardens pyramids are a great way to spend the day out of the rough Texas Sun. I’ve spent many a school field trip at Moody Gardens– and we go to the Festival of Lights every Christmas Eve. But, for summer the three pyramids are a must do activity for all ages. If you don’t want to be inside you can hit the waves at Palm Beach Water Park instead. No explanation needed here. Crack open a cool drink, put some steaks on the grill and watch the colors pop against the night sky. Have a favourite 4th of July tradition? Let me know all about it in the comments! This year I will be spending the day on an airplane back to Dallas. Friendly Reminder that you can follow me on both Twitter(@littlesliceobri) and Instagram(briollre).